Our student-athletes, coaches, and staff are committed to help shape the conversation around suicide and mental illness, and educate people about these important issues. In addition to giving online to the AFSP, we also encourage to attend our Suicide Awareness events at various home games throughout the year. Currently, Florida Southern has four Suicide Awareness events scheduled, and anyone who donates $5 or more at any of the events will receive a wristband courtesy of the AFSP. 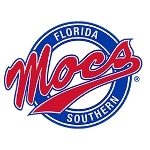 Additional events will be announced on FSCMocs.com during the year.